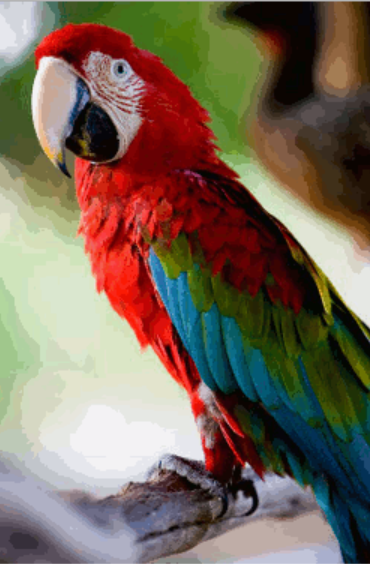 The Scarlet Macaw is native to South America. Their range extends from extreme south-eastern Mexico to Amazonian Peru, Bolivia and Brazil. These birds inhabit humid lowland subtropical rain forests, open woodlands, river edges, and savannas. These stunning birds display an array of bold beautiful colors. 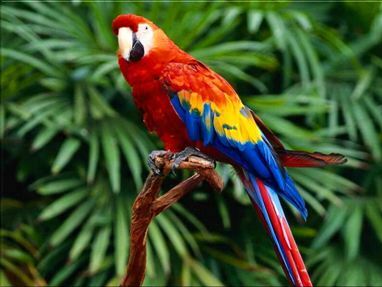 The feathers that cover the bird\’s body (plumage) is mostly a scarlet red, but the rump and tail feathers are light blue. 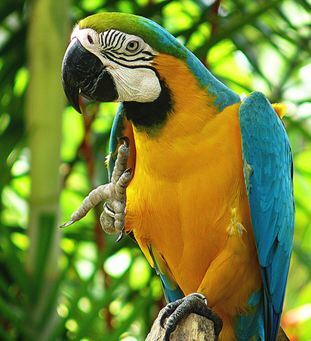 The upper wing feathers are bright yellow, the upper sides of the flight feathers of the wings are dark blue as are the ends of the tail feathers. 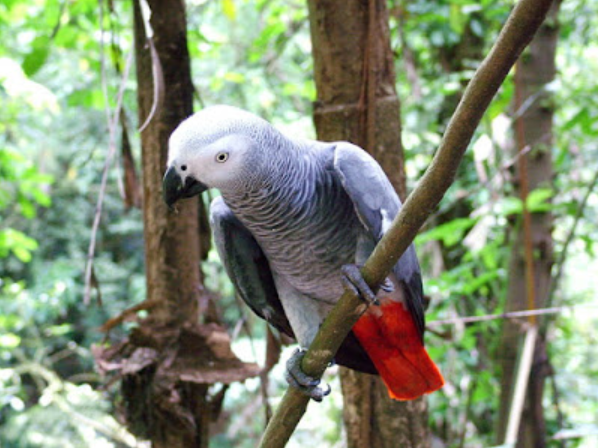 The Scarlet Macaws have longer tails than other macaw species. The undersides of the wing and tail flight feathers are dark red with metallic gold iridescence. Occasionally, some specimens have green feathers in their wings as well. 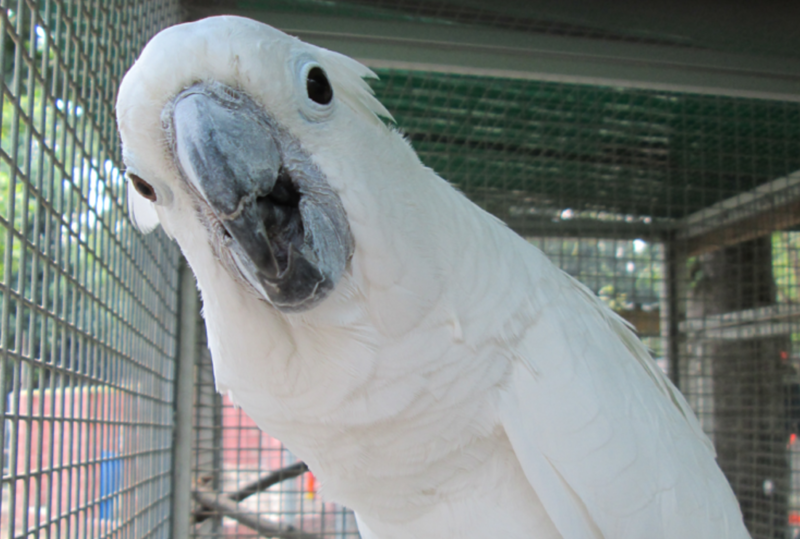 They have bare white skin around their eyes and down to their beak. The upper mandible is mostly a pale color and the lower mandible is black. 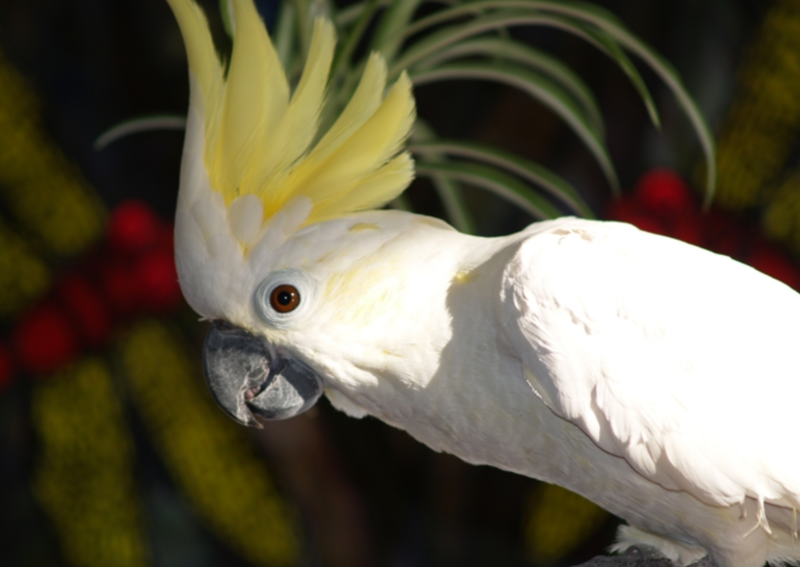 These birds will be a pet for life, living up to 75 years in captivity, but the wild a typical lifespan is 40 to 50 years. Scarlet Macaws are known make very loud, high and sometimes low-pitched, throaty squawks, squeaks and screams designed to carry many miles to call for their groups. They have the ability to mimic sounds and some even learn to speak. These birds reach speeds of 35 miles per hour in flight due to their strong wings and hollow bones. 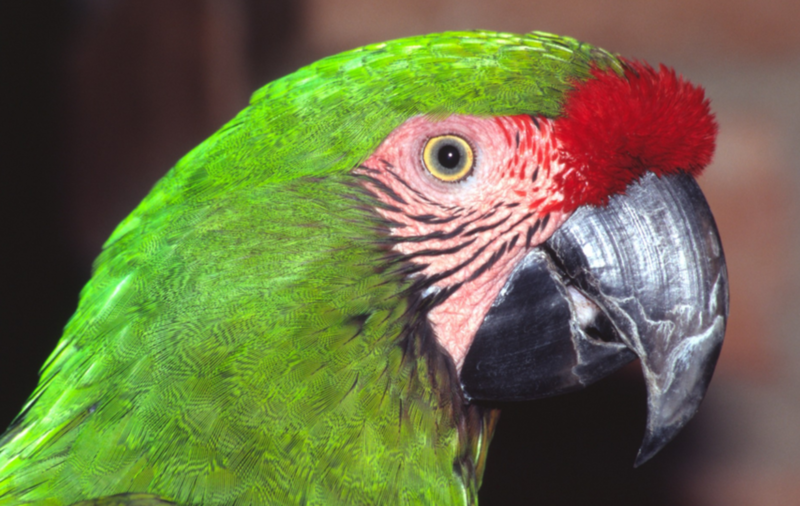 Scarlet Macaws eat mostly fruits, nuts and seeds, including large, hard seeds. Their strong, curved beak allows them to crack open hard nuts and seeds, and a tongue that can hold onto the kernel to pull it from the shell. They eat clay from riverbanks, though no one is sure why.